A hilarious family party game. Pick a card and imitate the emotion shown on it. Once you have imitated the emotion on your card to the other players, they must try to guess which emotion you were trying to channel. The first player to make five rounds around the game board wins! 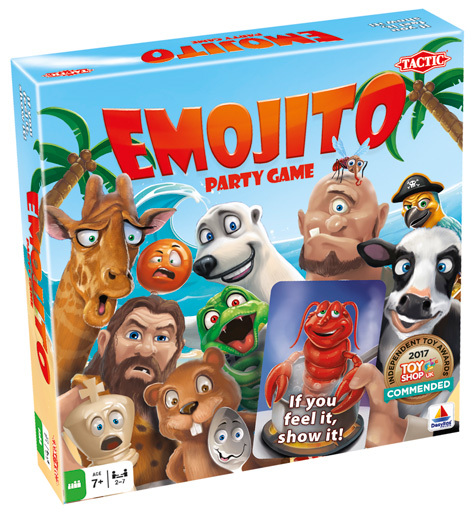 Please tell us what you think of Emojito by Tactic.